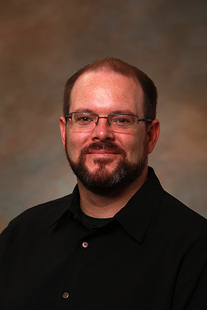 Dr. Jason Kihle is currently Assistant Professor of Percussion and Interim Director of Bands at Texas A&M University–Kingsville. Dr. Kihle directs Percussion Ensembles II and III, and is head of the World Percussion Program at Texas A&M University-Kingsville. He also is the founder and director of the Latin Jazz Ensemble, which regularly performs at the South Texas Jazz Festival and TAMUK Jazz Festival. Dr. Kihle earned a D.A. and M.M. from the University of Northern Colorado. He also holds a B.M.Ed degree from the University of North Dakota. Prior to completing his graduate degrees, Dr. Kihle taught elementary music and middle school band in Arizona and Colorado. He has studied percussion with Mike Blake, Jim White, Gray Barrier, Michael Spiro, and Mark Ford. Dr. Kihle has been published in Early Music Colorado Quarterly and The Instrumentalist. He has been a presenter at the Minot State University Northwest International Festival of Music, the National Conference on Percussion Pedagogy, North Dakota Music Educator’s Association and has adjudicated various contests and given clinics on All-State etudes in south Texas. Dr. Kihle has also conducted the Texas A&M-Kingsville Wind Symphony and Concert Band at the Texas Music Educators Association convention. Dr. Kihle won the Southard Competition at UNC for his performance of Merlin on marimba. He has performed on drum set at the Montreaux Jazz Festival, the International Thespian Festival, and with the Glynn Garcia Big Band. Dr. Kihle has performed with the Grand Forks Symphony Orchestra, Colorado Wind Ensemble, Greeley Philharmonic Orchestra, the Corpus Christi Symphony Orchestra, and the Laredo Philharmonic Orchestra. He has performed at the National Conference on Percussion Pedagogy, the International Double Reed Society Convention, and Texas Music Educators Association. He performed Concertino for Marimba by Paul Creston at California State University Los Angeles in the spring of 2013. Dr. Kihle is a member of the Percussive Arts Society, Music Educators National Conference, the Texas Music Educators Association, Pi Kappa Lambda, and Kappa Kappa Psi. He is a Yamaha Performing Artist and an Innovative Percussion endorser. Dr. Scott Anthony Jones serves as Director of Bands at Texas A&M University-Kingsville. Dr. Jones oversees all aspects of the dynamic band program, conducts the Wind Symphony, Concert Band (Fall), University Band (Spring), and teaches courses in conducting, wind literature and music education. 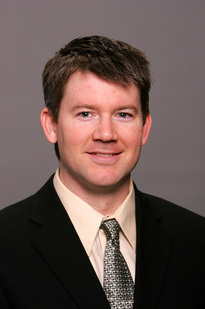 Prior to Kingsville, Dr. Jones was Assistant Director of Bands and Associate Director of Athletic Bands at the University of Georgia, working with the 440-member Redcoat Marching Band, directing Concert Winds and Basketball Band, and teaching courses in conducting and orchestration. Dr. Jones has also held positions at the University of Wisconsin-Milwaukee, Milwaukee Youth Symphony Orchestra, Morgan State University, Maryland Conservatory of Music, The Peabody Institute, and The Highlands School in Maryland. Dr. Jones holds the Doctor of Music in Wind Conducting from Indiana University Jacobs School of Music, the Master of Music in Instrumental Conducting from the University of Wisconsin-Milwaukee, the Master of Music in Saxophone from The Peabody Institute of The Johns Hopkins University, and the Bachelor of Music from Grand Valley State University in Michigan. Dr. Jones serves frequently as a guest clinician and is a contributor to various GIA publications. He currently holds memberships in CBDNA, NAfME, CMS, NBA, WASBE, TMEA, and is an honorary member of Kappa Kappa Psi and Phi Mu Alpha Sinfonia.